Building a community of engaged individuals, inspired to protect sharks, is the key to ensuring a sustainable future for these important animals. We regularly visit schools, clubs and community groups to share our knowledge of sharks and to inspire people to help in their protection, but we need your help to reach more people. 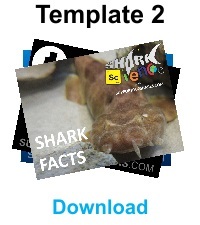 Below we have provided shark presentation templates that you can download to help create a shark talk for your school or local community club. Each template is designed with minimal text and great photos to ensure that they are versatile and appropriate for all age groups. Presenters are encouraged to adapt/edit the templates to their specific needs. 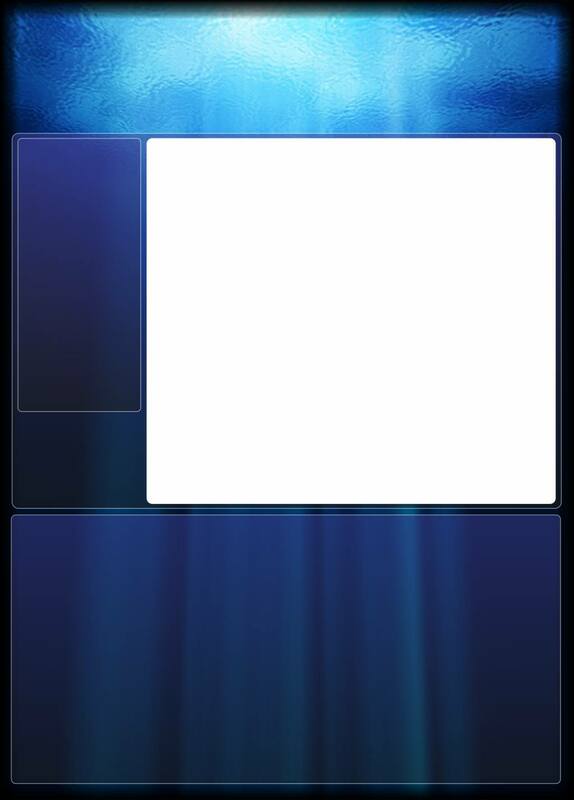 We estimate that each template will provide for a 10-15min presentation. If you are giving a 10-15min talk, we recommend that you use template 1; for a 20-30min talk we recommend that you combine template 1 and 3; and for a 40-60min talk, we recommend that you combine template 1, 2 and 3 (in that order). 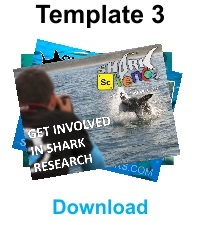 To make your talk more engaging, feel free to use any of our shark films. Also, be sure to check out our teaching manuals for ideas of activities and games to use as part of your talk. 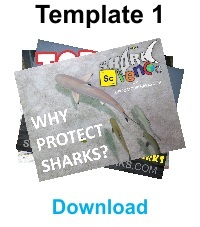 If you use any of our shark presentation templates, please let us know and send us photos of your talk, as we would love to share your hard work with our supporters.